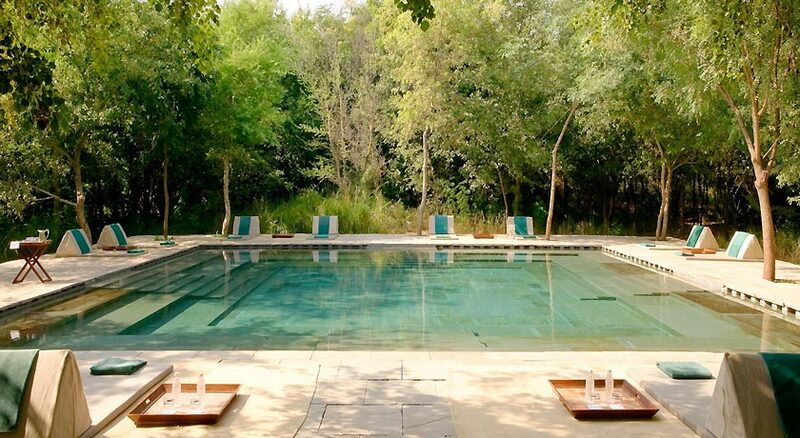 Nature is best enjoyed by being close to it and Aman-i-Khas offers just that. 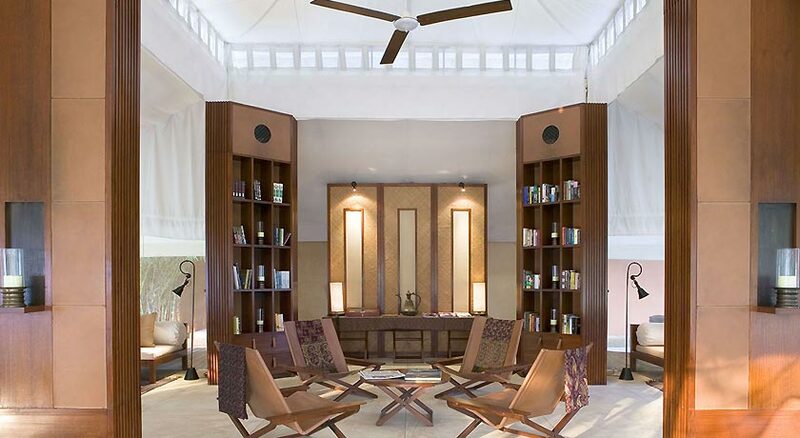 This luxury hotel offers luxurious accommodations with an eye for personalized services that make it an ideal choice. 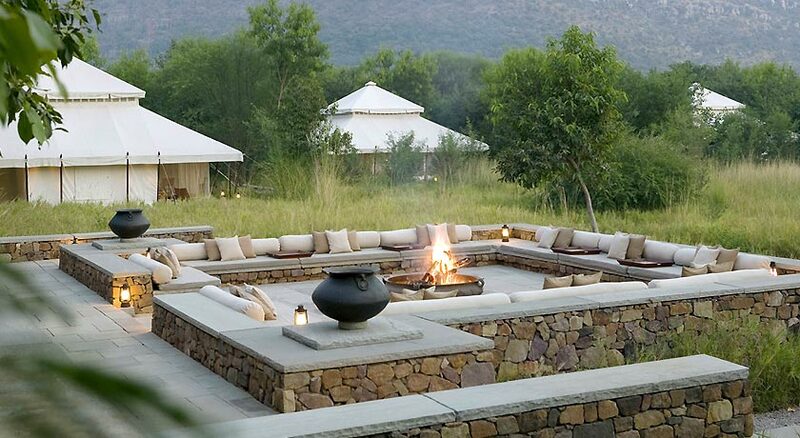 The hotel is 10 km from Ranthambore Wildlife century. The resort is seasonal and is open only from October to March. 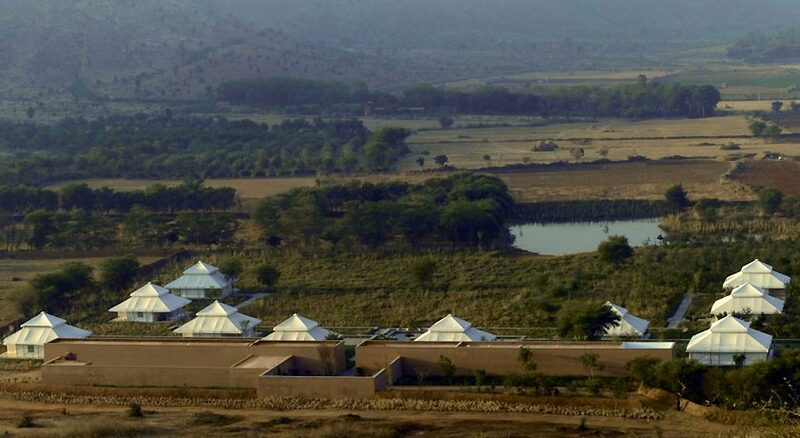 The resort is surrounded by the Aravali hills on all sides along with flora and fauna that is sure to take your breath away with its beauty and tranquility. The hotel also organizes wildlife safaris with professional guides who will make sure that you can spot the majestic Bengal tiger without a hitch. The hotel’s spa is located near the fountain and offers therapeutic treatments to relax your mind, body and soul. 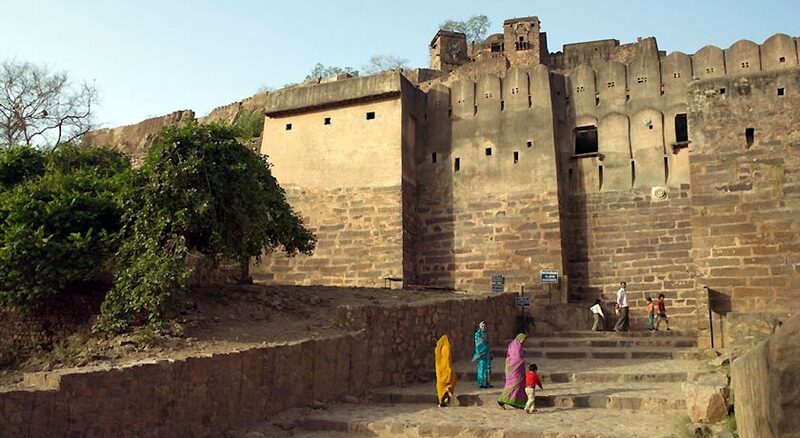 The guests can also enjoy step-wells bathing which is a traditional form of Rajasthan. The services offered are Wi-Fi in public places, foreign exchange, 24-hour room service, doctor-on-call, library, laundry services and recreation facilities (jogging, nature trail, cycling). 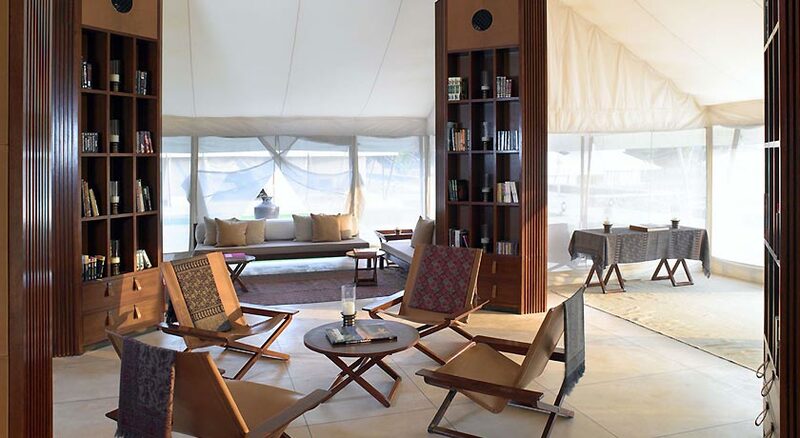 The hotel has 10 luxury tents all nicely furnished. A dining tent serves delicious multi-cuisine fare. 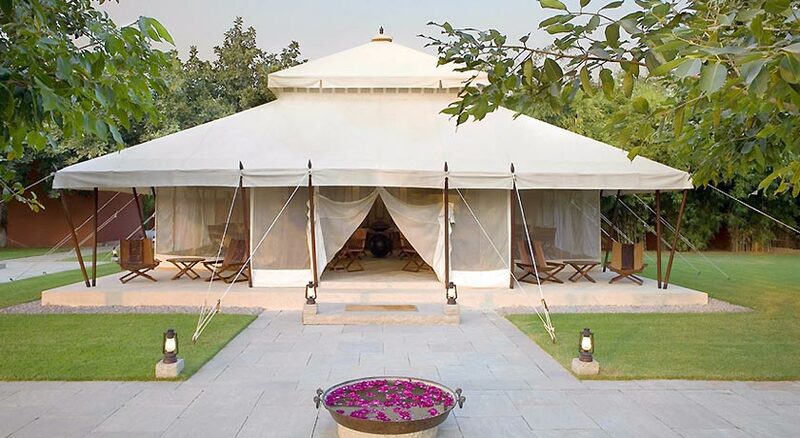 Luxury Tents remind one of the Mughal and Rajput era with their architecture. 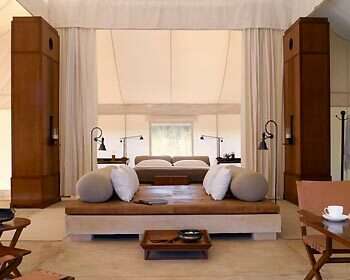 The rooms are luxuriously furnished in regal style with king-size beds, dining table, armchairs, twin writing desks and chairs. The tent is air conditioned and can also be heated according to the weather. 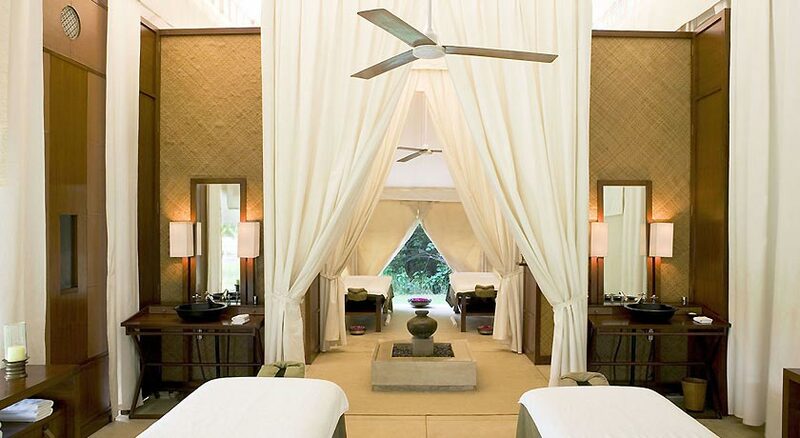 The room is draped in white curtains that lend it a romantic and soft glow and ideal for a romantic getaway. A cooler is offered for storing beverages. 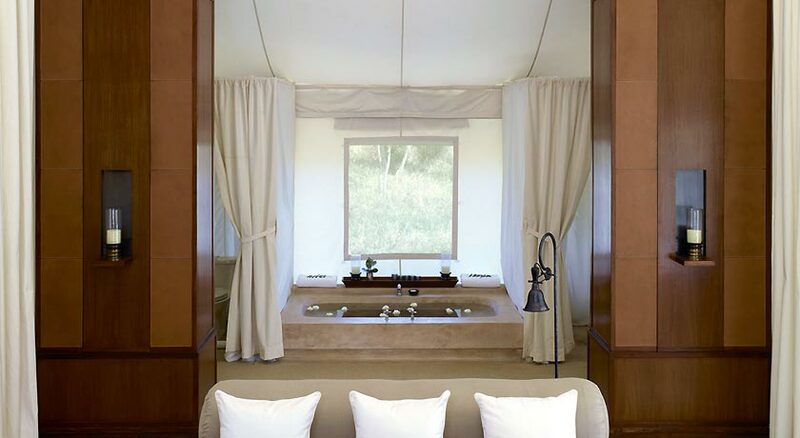 The bath area includes a shower, a bathtub, complimentary toiletries and a dressing area with closets and twin vanity tables. The hotel’s dining hall is inside a tent which a high canopy. The ingredients are pure and organic in the truest sense as they are grown locally inside the hotel. The chefs are talented and will endeavor to please you with Indian and Continental dishes. The bonfire burning outside becomes the focal point and dining can also be enjoyed out under the stars.